Just west of Grand Junction, one of Colorado’s hidden gems - Colorado National Monument - hides beautiful canyons, trails, and overlooks to be enjoyed. 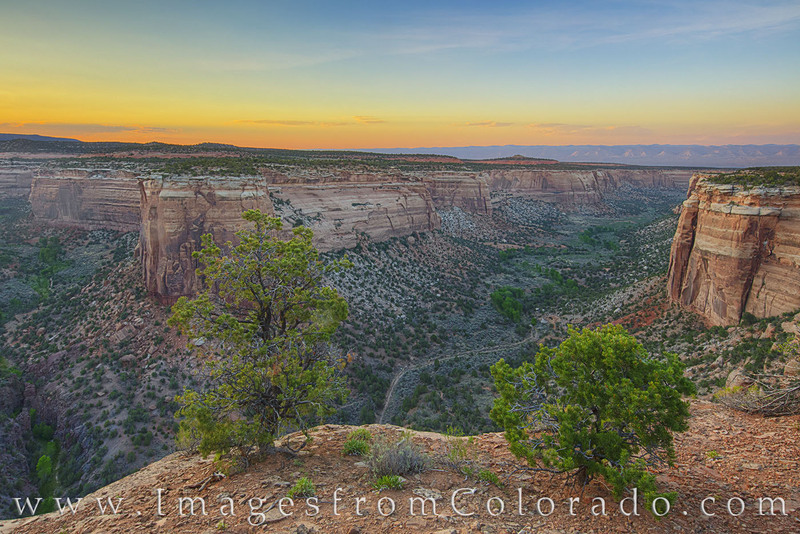 Here, at the Ute Canyon Overlook, the landscape shows the confluence of two canyons - Ute Canyon and Monument Canyon. Far below, a hiking trail is visible.